life! Take the hassles out of transportation. We offer the best limousines and shuttle buses in the industry! To book your limousine, click here. It could be said that this will be one of the highlights of your life. You have spent so much time looking and waiting for that someone special to come and sweep you off your feet. This is your moment to shine and everything needs to be perfect for you to have success. 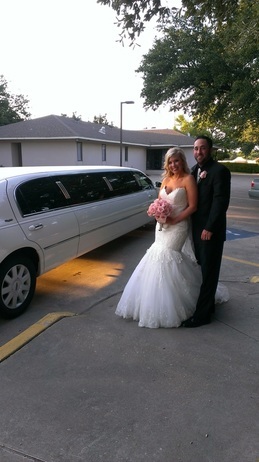 All Ready Limousines is the limo company that people call on in the Fort Worth TX area. We started doing weddings in Arlington TX for wedding chapels and venues in 2001. So whatever your needs are when it comes time to tie the knot we have you covered. Because of all the planning and details involved you need to focus your time on other factors in your wedding not transportation.The only thing you have to do on that special day is get married and enjoy a special time with your friends and family. All Ready limousine services offering all your wedding limo services for Fort Worth TX. We can handle all group sizes for your wedding limo rental. Make your reservation today for 5 star limo service at All Ready Limos in Fort Worth, Arlington and Grapevine TX.